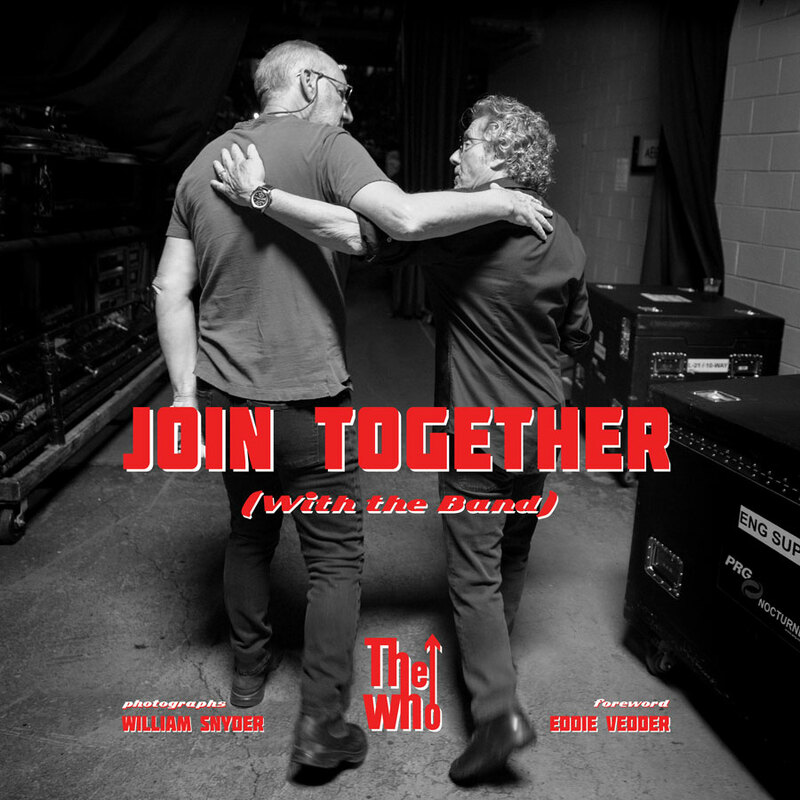 Join Together (With The Band) is a museum quality, collectable hardcover coffee table book that captures The Who's explosive stage shows as well as quiet moments off-stage in many never-before-seen photographs spanning 1980 through 2017. The exclusive photographs in this book were taken by William Snyder who has been the band's official photographer of more than seventeen years. The foreword is by Pearl Jam frontman Eddie Vedder. The book is bolstered by the full blessing and support of Pete Townshend and Roger Daltrey. Join Together is an over-sized book measuring 12 x 12 x 1.0 inches with approximately 180 pages. All content on this site © 2018 - 2019, PSG. All rights reserved.